Day trip to Pisa! We walked to the train station, bought our tickets at the biglietti machine and an hour later were walking the lovely streets of Pisa. Rather than heading right to the Leaning Tower, we followed Rick Steve’s advice (and guide) and took a leisurely, one-hour walk to the tower. 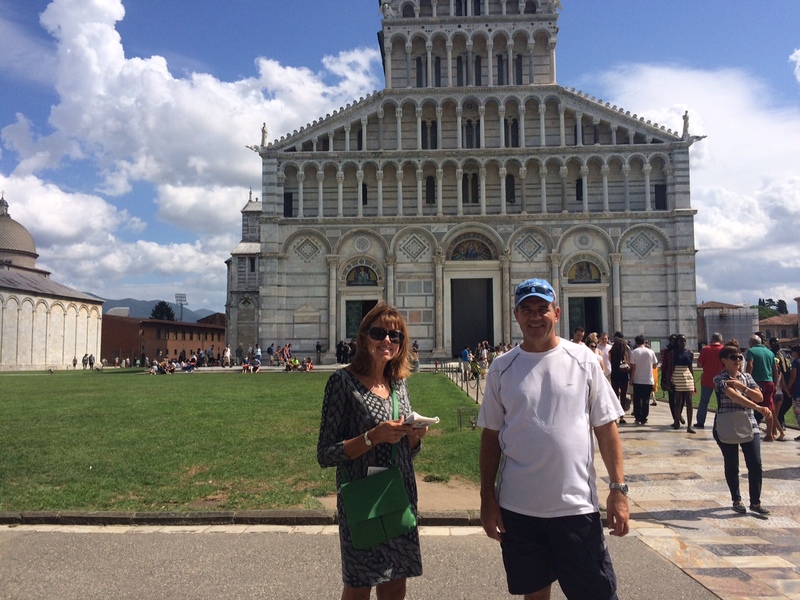 Rick always gives good advice, and just as he promised, the walk was a great way to get acquainted with the non-touristy parts of Pisa. 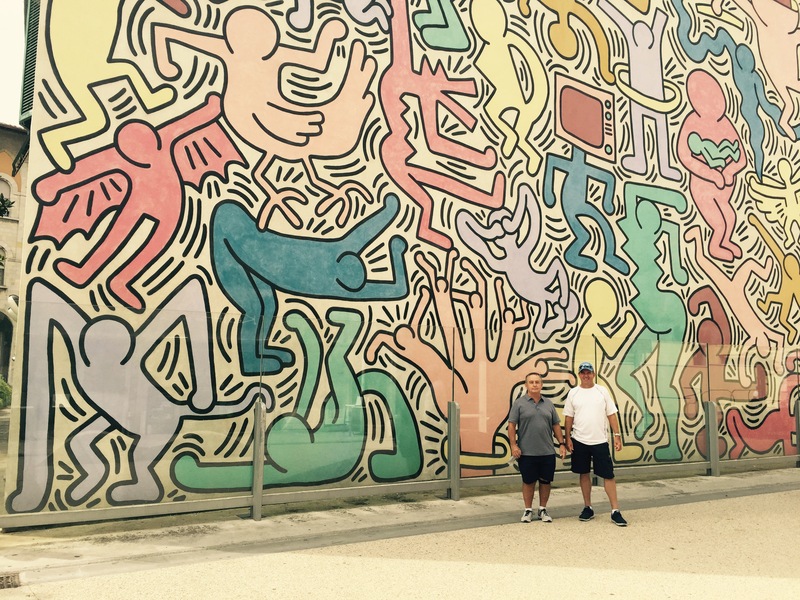 It was interesting to see a huge mural painted by American Keith Haring right in the middle of the town. Haring is credited with bringing New York City graffiti into the mainstream. His mural, Tuttomondo (Whole Wide World), is a celebration of diversity, chaos, and the liveliness of our world. Walking from the train station on the south to the old city wall on the north, we turned a corner and there it was- the Leaning Tower of Pisa. It looked just like all the pictures of it. Almost from the beginning of construction in 1173, the Tower leaned. But the builders kept on building and then suddenly stopped. The Tower remained unfinished and still leaning for a century. The next architect tried to correct the problem by adding the next three floors angling away from the lean. A century later another architect added the belfry on top. Numerous attempts to correct the problem were unsuccessful until 1990 when they sucked out 60 tons of soil on the non-leaning side, allowing the Tower to sink back about six inches. The Tower is one of five beautiful buildings on the Field of Miracles, a large square of beautiful green grass and lovely walkways between the buildings. The other buildings are the Baptistery, the biggest in Italy, the Camposanto Cemetery, where the grass grows on dirt brought back by the Crusaders from Jerusalem’s Mount Calvary where Christ was crucified, the Duomo, and the Museum of the Sinopias. 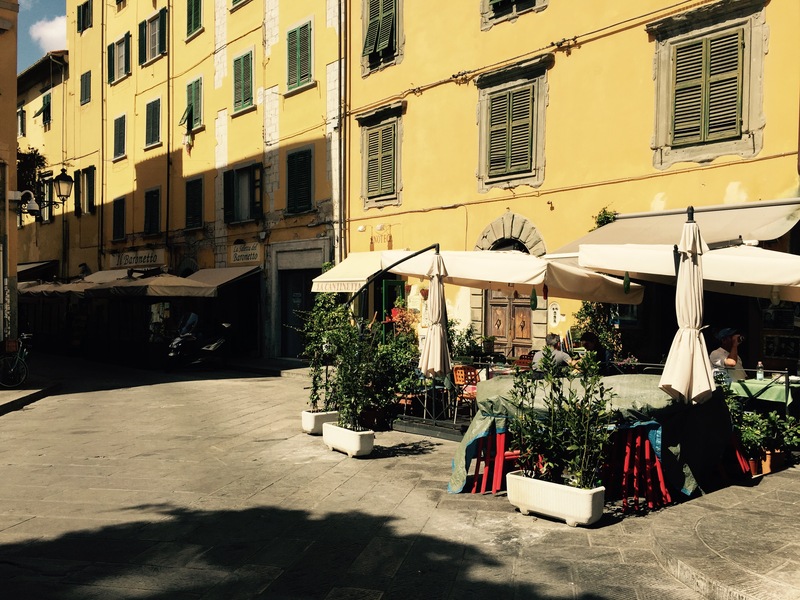 After seeing the sights, we found a lovely little restaurant for lunch, hiked back to the train station and returned to Firenza, our home for the month. 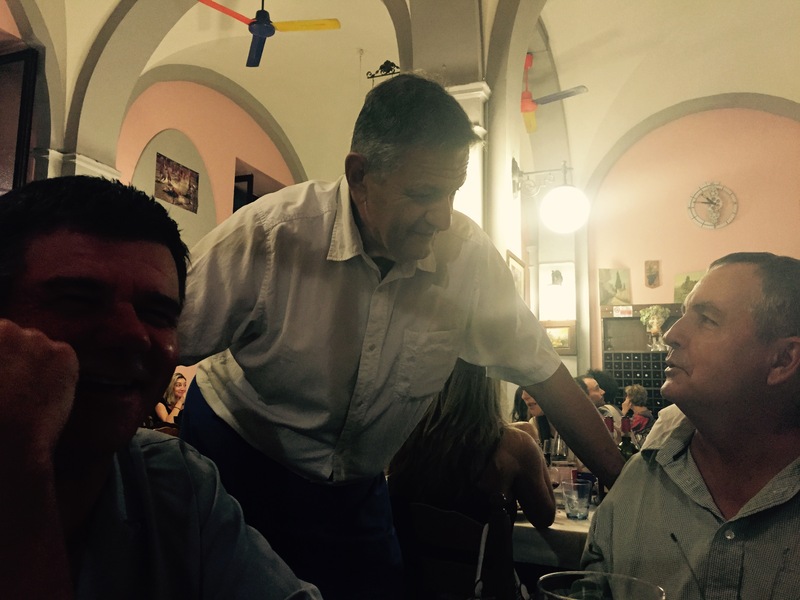 We had the loveliest dinner at Osteria de Pazza, a wonderful local restaurant about three minutes from our apartment. For some reason the owner did not have my reservation. After apologizing and kissing my hand multiple times, he told us he could have a table for us in about fifteen minutes. The singing owner, the wonderful Italian ambiance and the great food all made it worth the wait. 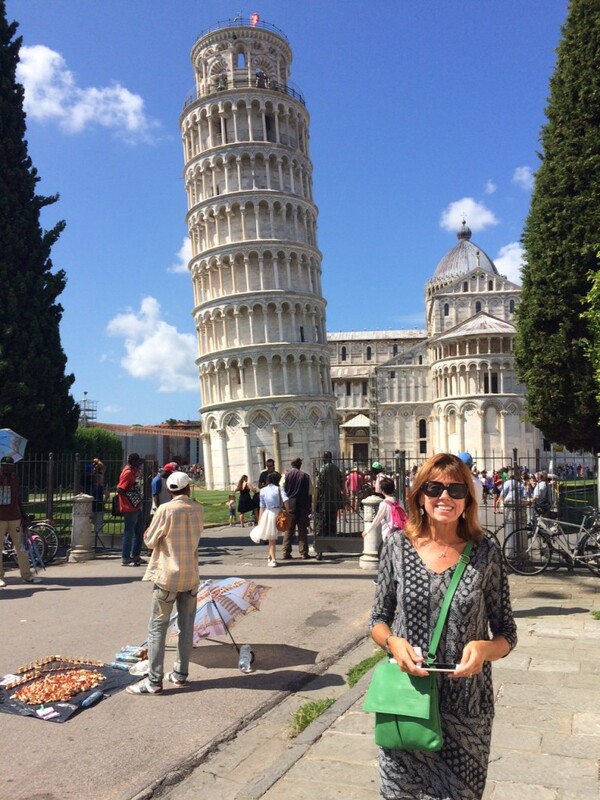 This entry was posted in Italy 2015 on September 5, 2015 by debbie.